Explanation: How do large storms evolve on Saturn? On Earth, a hurricane can persist for weeks, while the Great Red Spot on Jupiter has been in existence for over 150 years. 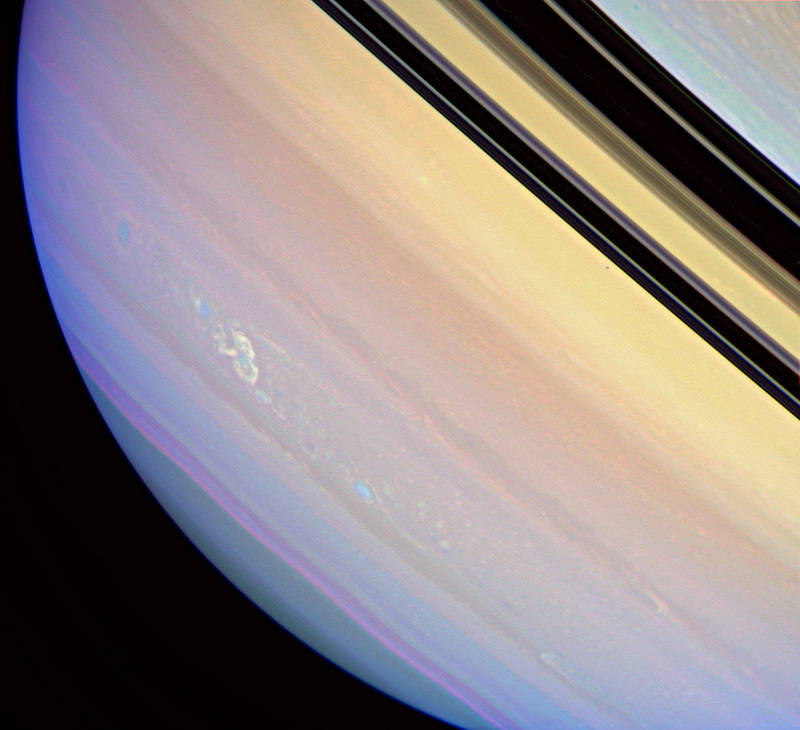 On Saturn, a storm system has now set a new endurance record, now being discernable for greater than three months. Electrical signals were detected from the storm in late November of 2007, while the above image was taken in early March 2008. The storm has roughly the width of planet Earth. 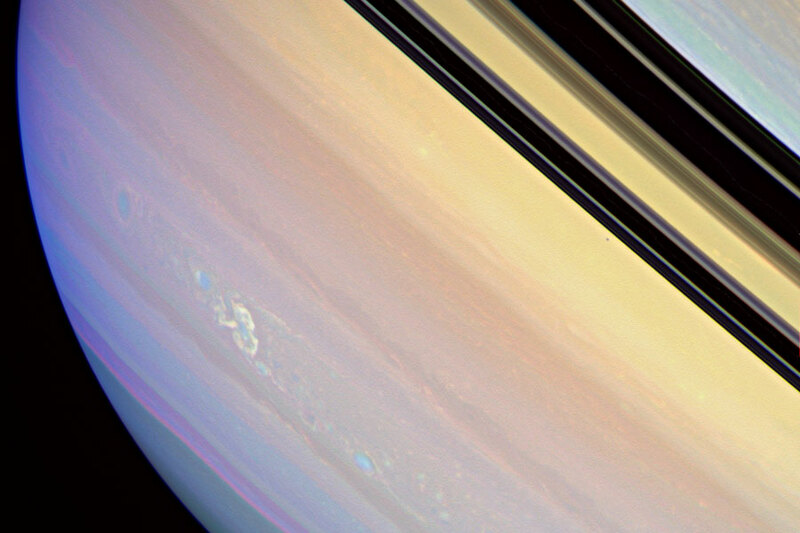 Planetary scientists hypothesize that the storm runs deep into Saturn's cloud tops. The above image is shown in exaggerated colors combining violet and green light with light normally too red for humans to see. Visible on the upper right are shadows of Saturn's expansive ring system. Careful inspection will reveal Saturn's small moon Janus just below a ring shadow. Understanding weather on other planets helps atmospheric scientists better understand our Earth's weather. Observers of our Solar System's huge ringed world will be tracking the storm to see how it evolves and how long it will ultimately last.